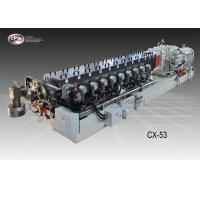 CPM Extrusion Group belongs to the worldwide CPM Corporation with facilities all around the globe. CPM is the parent company to world-leading process equipment and systems companies around the world. CPM companies represent broad product portfolios and serve diverse end markets. CPM units are experts in large-scale commodity and value-added processing and are aligned with a common value proposition and committed to delivering enduring value to their customers, employees, shareholders and communities. The first extrusion company which was acquired by the CPM Holdings was Century Extrusion in 2006. Century Extrusion, with its factory in Traverse City(MI) in the US, has decades of experience in the development of highly engineered twin screw extrusion systems as well as high performance process section parts. Through the development of an impressive list of global customers spanning across all aspects of compounding, Century Extrusion has acquired valuable experience in process application and system design. 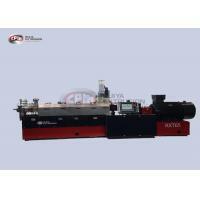 In 2007 Ruiya Extrusion, established in 1993, was acquired by the CPM Holdings. 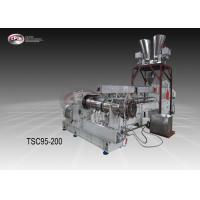 Ruiya Extrusion is one of China’s leading providers of twin screw extruders covering all kinds of applications, compounding systems and supporting technologies.Ruiya has achieved its position in the Chinese market place by providing industry leading equipment technology, process engineering and after sales support. Today, Ruiya Extrusion has one of the largest installed bases of machines in Asia, covering different levels of extruders, from entry level to high level European standard specifications for various customer requirements. Through this experience, Ruiya Extrusion has gained industry leading application experience bringing confidence to its customers not only in Asia but also in the rest of the world. In 2017 Extricom GmbH was acquired as another CPM Extrusion Group member. 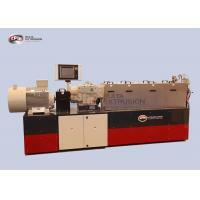 Extricom is a supplier of compounding lines, replacement parts, and services. With over 40 years of expertise in extrusion systems and spare parts, Extricom provides innovative development and manufacturing of corotating twin and multi- screw systems through the integration of production, assembly, service, laboratory research from their factory in Germany. 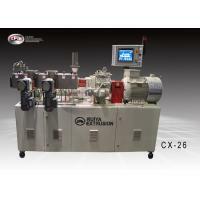 Today CPM Extrusion Group is globally established with operations in the US, Europe and Asia. Worldwide we have sold more than 4500 extruders.We offer the world our combined knowledge, our agility,extrusion passion and leadership. Whether it is an expanded scope compounding system or a spare part for an existing machinery we strive for a close collaboration with our customers to provide best overall value. As a customer-centric organization we offer unmatched service and products at each of our customer’s locations.